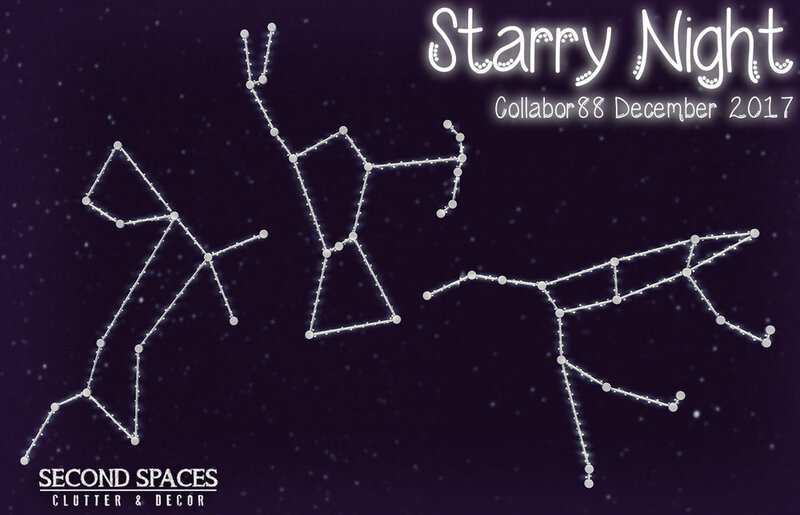 Out now for the December round of Collabor88, the Starry Night constellation set! Each set includes all three constellations, and the sets are available in black, silver, or rose gold. Just 88L per set for the duration of the event! Also available now in the December Deco(c)rate box is my Winter Wonderland Indoor Set! Bring the snowy day inside where it's warm! The set includes the Snow Mobile and the Log Bench, available exclusively through Deco(c)rate.